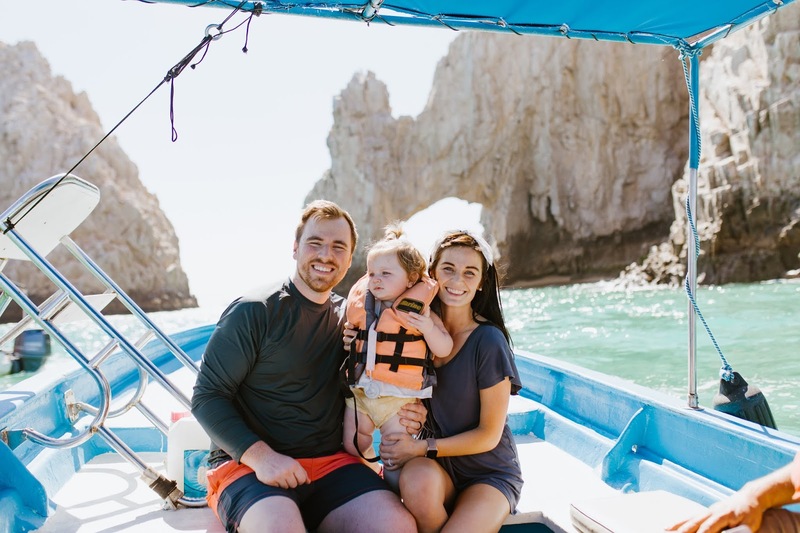 THE GUNTHER GANG: Cruising Mexico With a Baby! 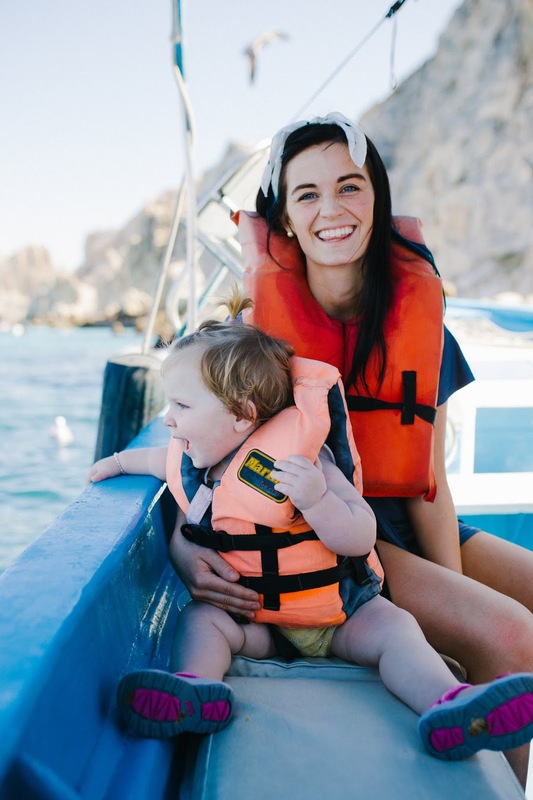 Cruising Mexico With a Baby! In true CaLea fashion... this post *quite* late. But hey, at least I'm getting around to actually writing one, right? 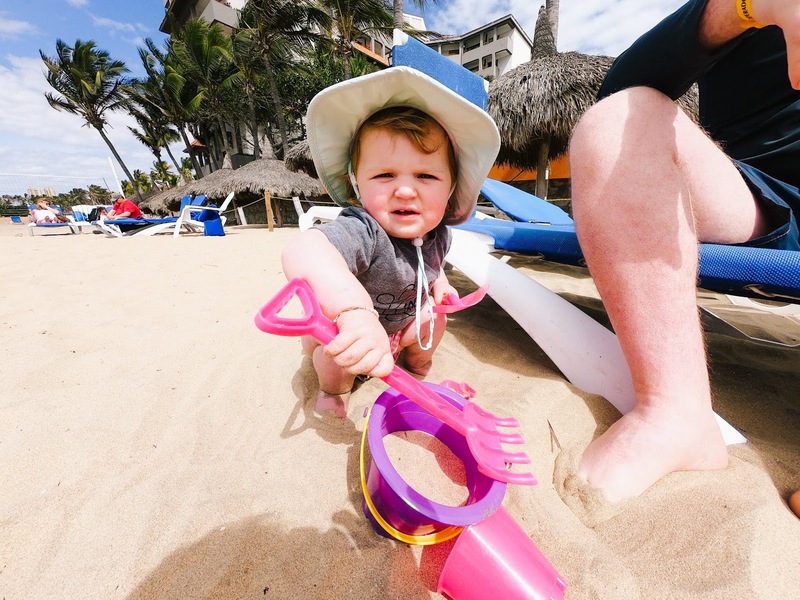 We recently cruised down to Mexico for a week. 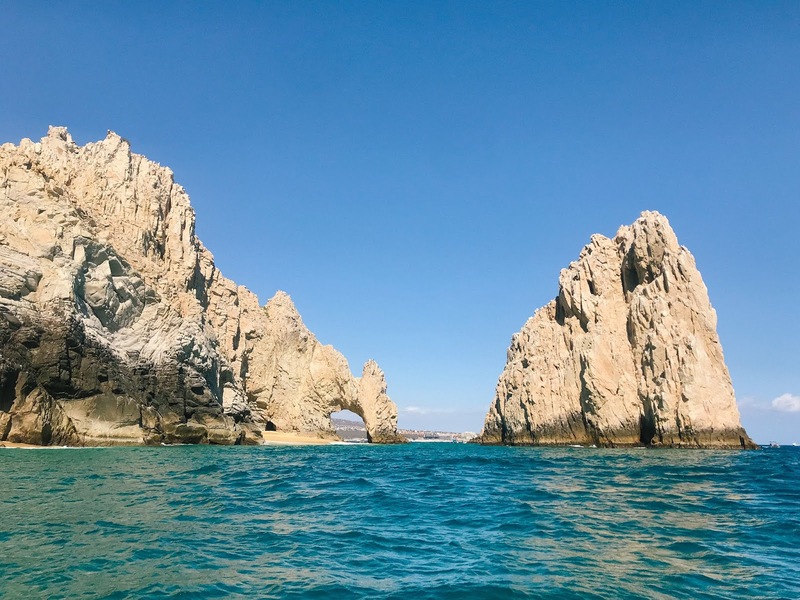 We hopped on a Princess cruise ship one Sunday, sailed down the coastline, made a couple of stops in Mexico, then turned back around and got off the ship on the following Sunday. 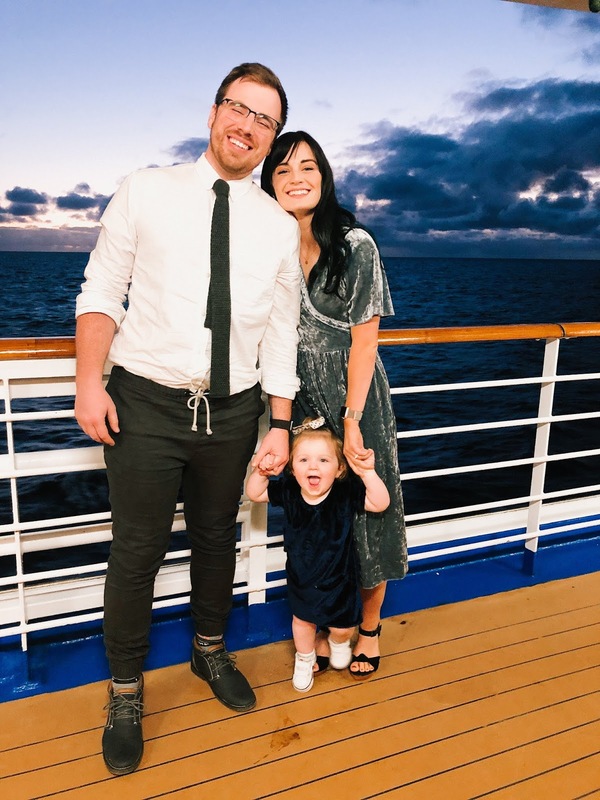 Taylor and I aren't exactly "experts" when it comes to cruises, but thankfully we were accompanied by our sister-in-law, Brooke (and her family), who are all quite literally the definition of "cruise experts," so we were definitely taken care of (especially since Brooke has cruised several times with her babies). 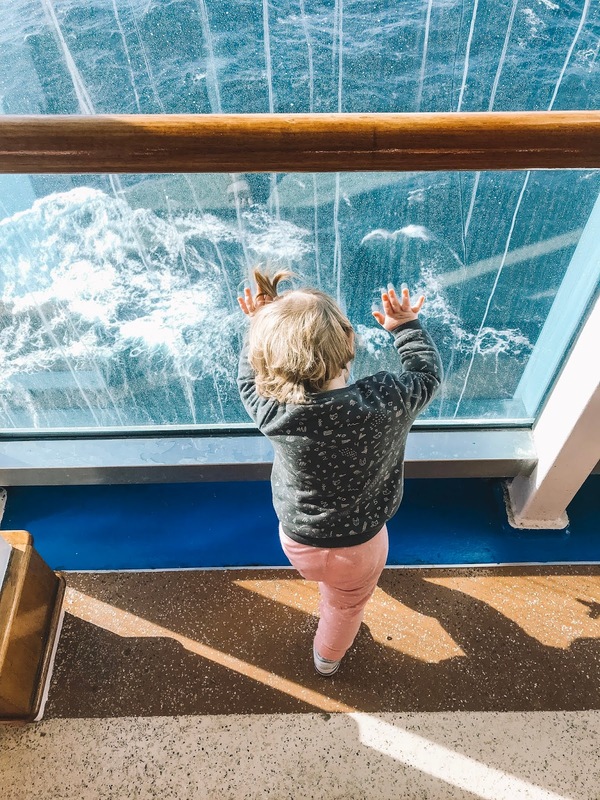 Let me start this post out by saying this: cruising, in my opinion, is one of the easiest ways you can travel with a kid. 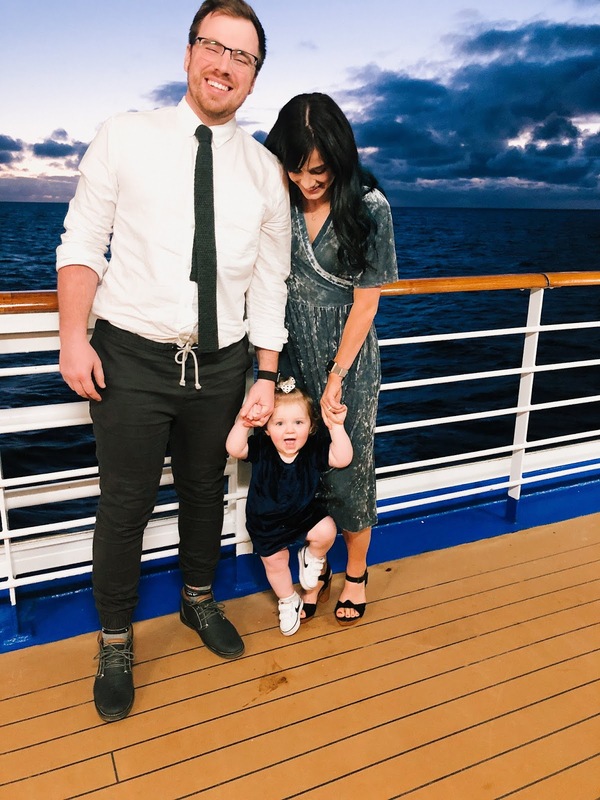 We've been blessed to be able to go on a lot of trips since we welcomed Billie into the family, but out of all of them, the cruise seemed to be the one that didn't take as much thought and preparation. 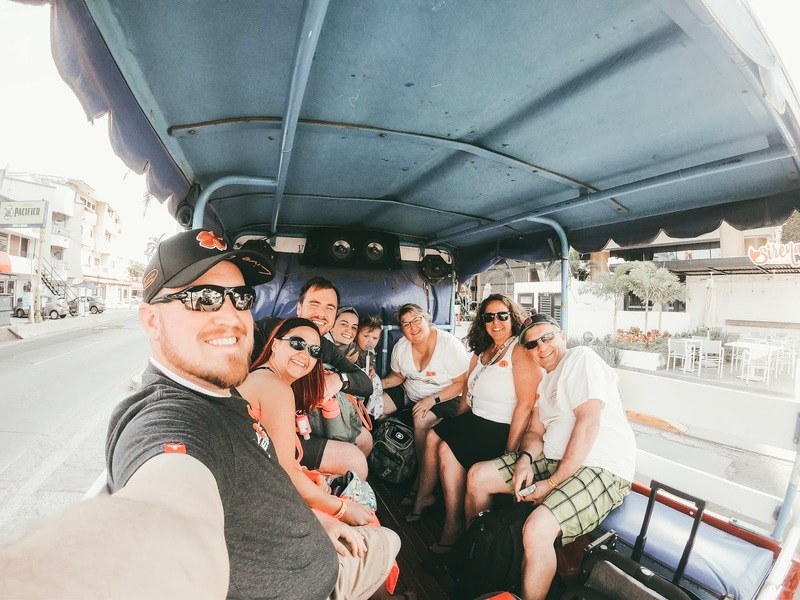 That being said, cruises are more of a vacation and CAN be less of an adventure (this is not a bad thing, it just depends on what you're looking for in a trip)-- let me explain: you get a lot of down time on the boat (which is great if you want to be able to go on a trip to just chill), you have a limited amount of time to spend at each port, and there aren't many unexpected plans and adventures that will come up during your trip (cruises are all pretty much pre-planned before you get on the boat). 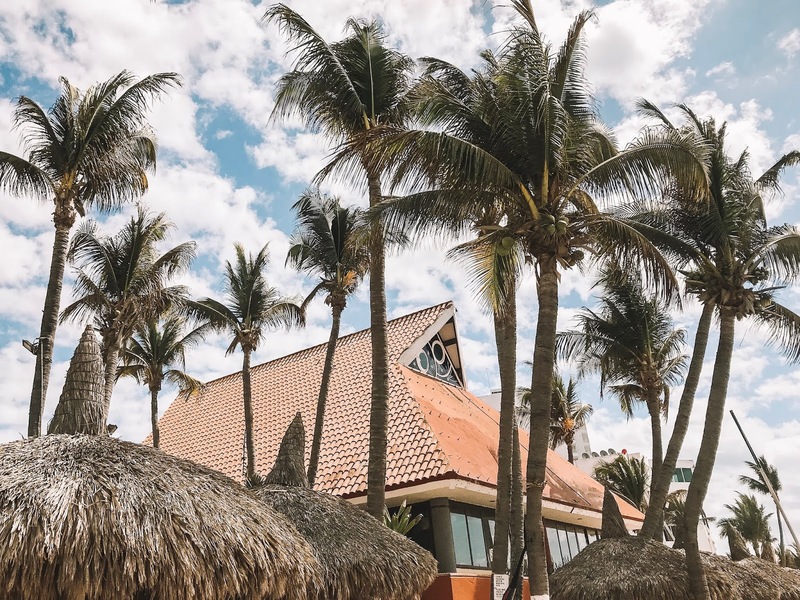 We enjoyed this trip by lounging poolside, having immediate access to all kinds of food without even having to lift a finger, never cleaning up after ourselves, laying out in the warmth of the sunshine, and waking up late after going to bed early. 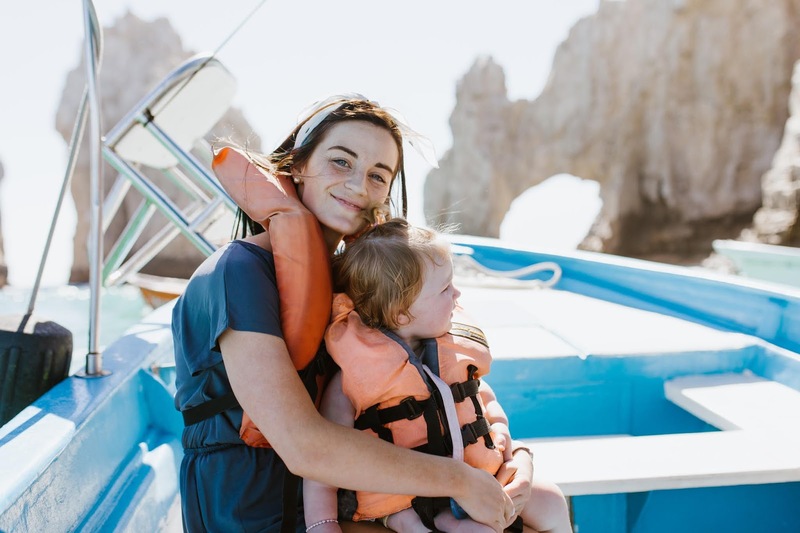 It's a seriously great option if you're wanting to get away from the monotony of your day-to-day routine, relax, and spend some time with your family. 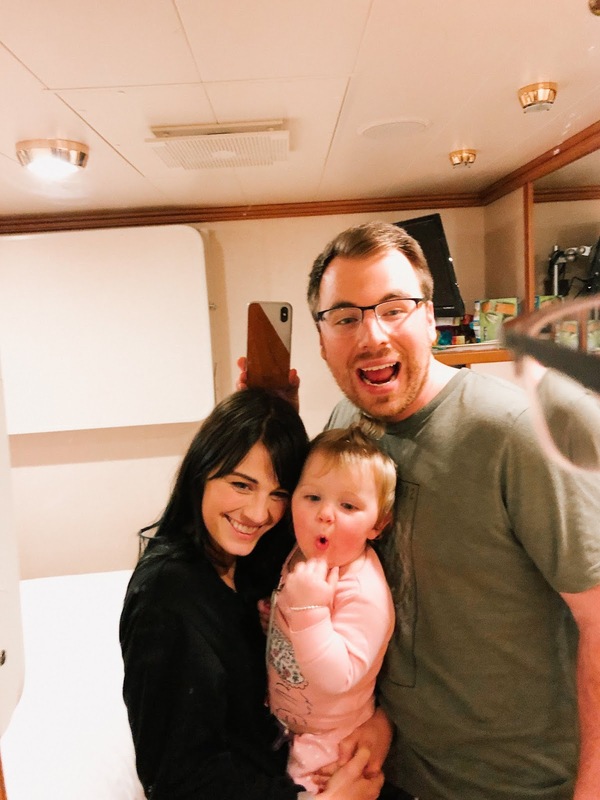 Our very first day on the boat was a sea day and we spent the entire morning chasing Billie all over every deck of the ship as she got acquainted with the vessel that we'd be living on for the following week. 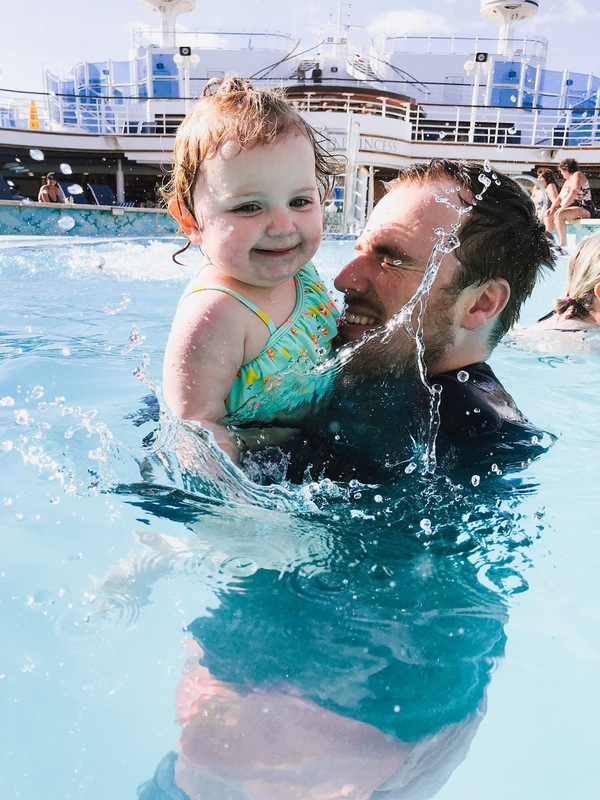 This proved to become her very favorite activity to do (aside from swimming) during the duration of our cruise. My favorite way to waste time was reading on a lounge chair next to the pool and Taylor's favorite activity was laying taking a nap (or two) with Billie every day in the utterly black darkness of our cabin (don't worry, we had a pack'n'play in our room for the evenings-- we kept it in our closet so we had space to move around in our room-- but Tay preferred to nap with her while cuddling). 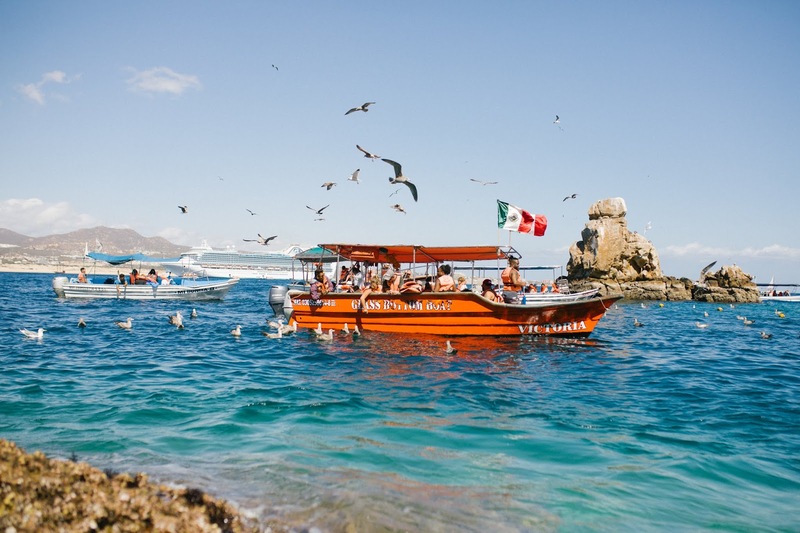 The first port we stopped in was Cabo. The ship stopped out in the middle of the water so we had to get a tender (aka a smaller boat) to carry us from the cruise ship to land. 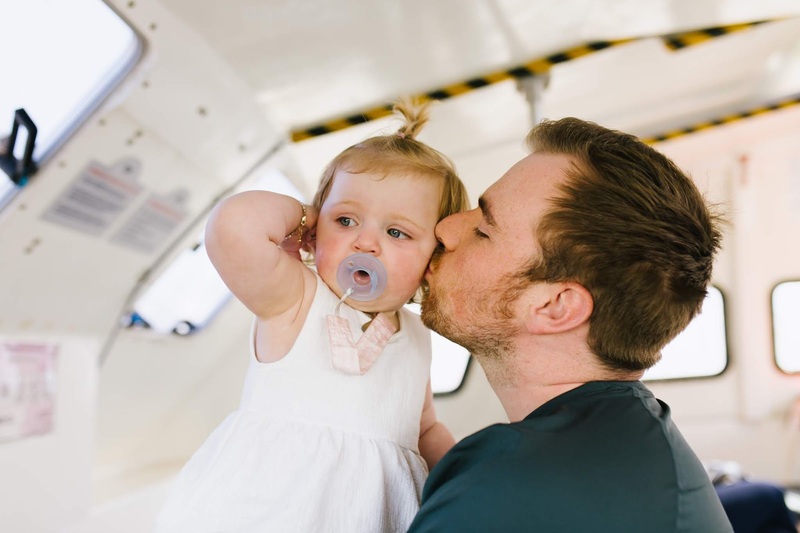 Billie was really excited once we boarded the tender and it took off bouncing across countless bumpy waves as it carried us towards land. 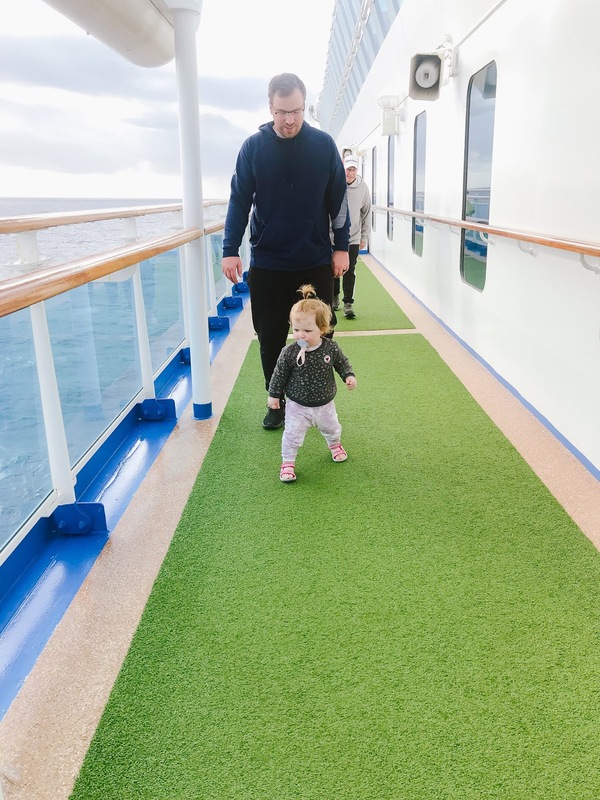 We had absolutely no plan for our day when we stepped onto land. 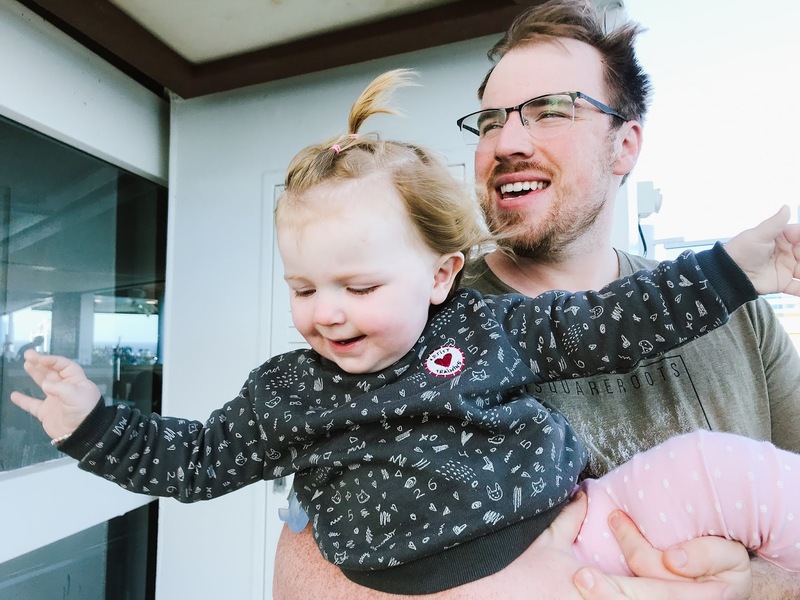 We figured we'd walk around, find some food, and then find something exciting to do. 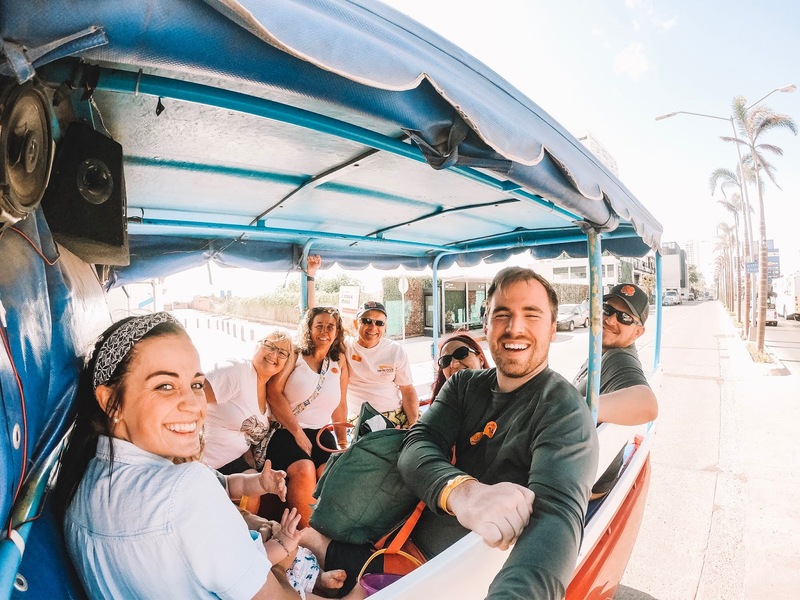 The sidewalks were lined with people trying to get us to join them on various "life-changing" adventures but our bellies were grumbling too loud for us to really focus on any kind of adventure that didn't involve finding something good to eat. There was a cute little outdoor restaurant that caught our attention by the delicious smells wafting through the air from that direction. Tay and I both thought we were anxious to eat... but we had nothing on Billie. 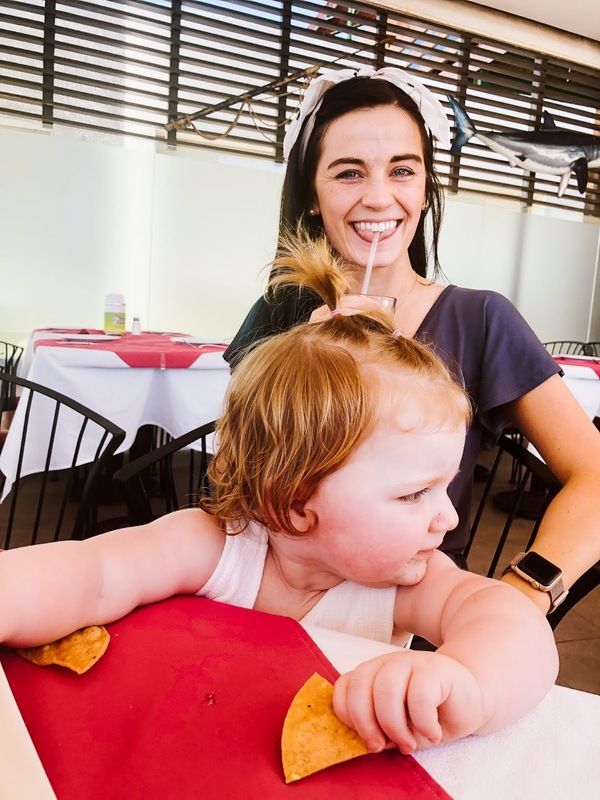 As soon as we sat down she grabbed a fork and a knife and started pounding them against the table as if to say, "GET ME FOOD NOW OR ELSE." Billie's loud utensil-pounding seemed to have worked, too, because within minutes we had ordered our food and very soon after a couple of plates brimming with the most delicious looking food were being placed on the table in front of us (and within seconds of our food's arrival Billie's grabby little hands were ready to start stuffing food into her mouth). Taylor got the mango shrimp quesadilla and I got some fish tacos. Billie happily indulged in both meals (though, I think she preferred the fish tacos). She went back and forth between our laps as we ate so that she could have a taste of everything we were eating and drinking. 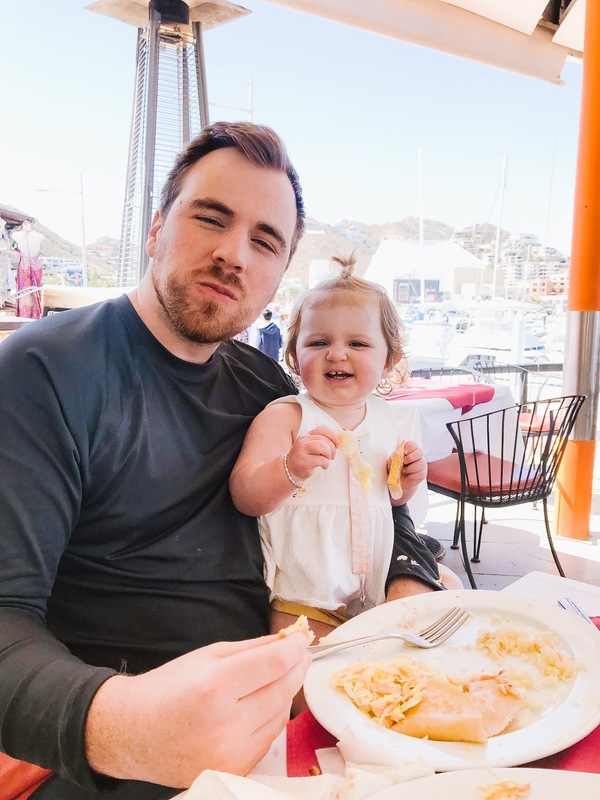 She's a little foodie and it's one of my favorite things about her! 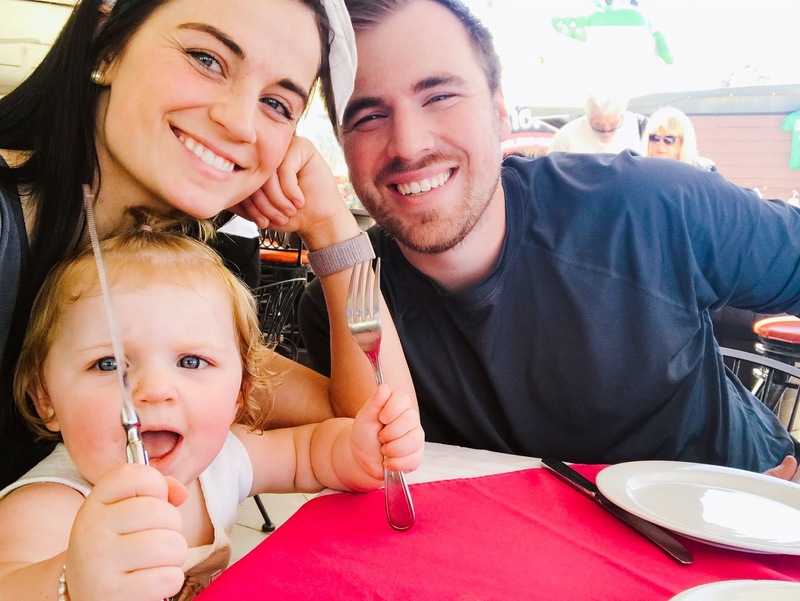 When we finished our meal we figured we'd go out and hunt down the best deal for a water taxi to take us out by lover's beach and the arch. We walked along the water's edge and admired the rows upon rows of sailboats lined up with masts reaching up as one towards the blue, blue sky above. 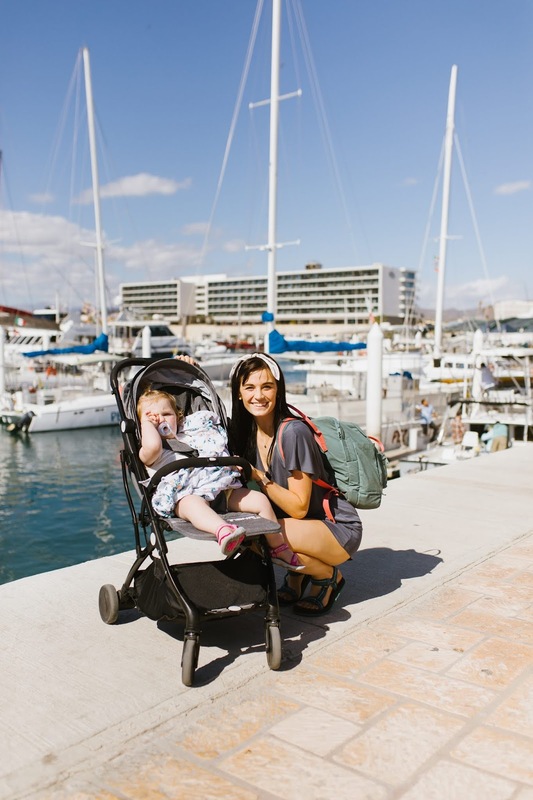 We purchased the coolest little travel stroller online before we left and we were able to break it in for the first time during this trip. 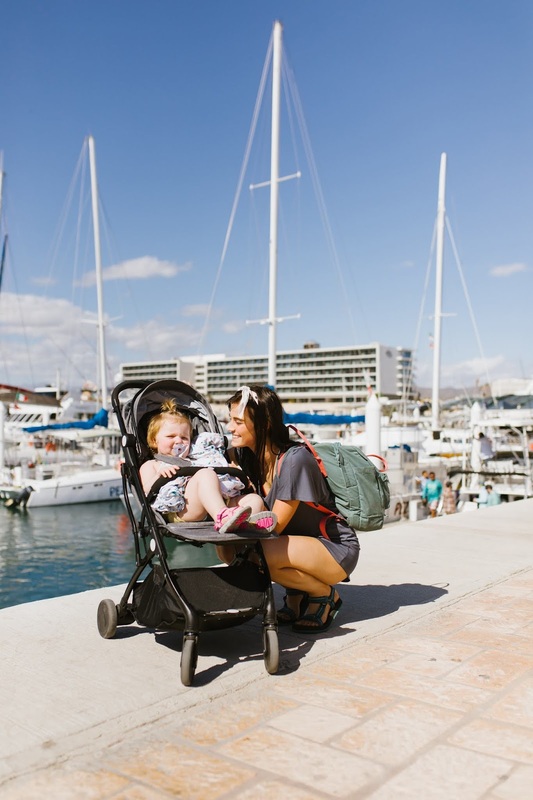 I'm kind of picky about strollers that I want to travel with and this little stroller checked off all my boxes! It's lightweight, it folds down extremely small (so small that you can fit it in the overhead bin if you so desire), it has a little extendable handle that allows you to pull it behind you when it's all folded down, it has a FULL recline (which is the BEST for on the go naps), it's zippy (easily maneuverable), and has a pretty awesome amount of storage space in the basket. So yeah, I'd 100% recommend it. 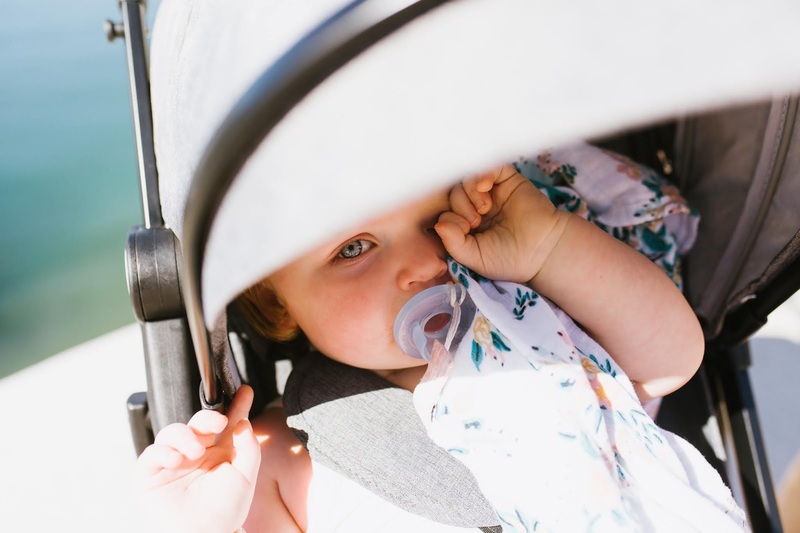 There are multiple sellers on the site that sell this specific stroller so you can definitely find it for a cheaper price than the link I listed, too (just make sure you buy it from a seller who has sold several of them so you know it's a reliable source). 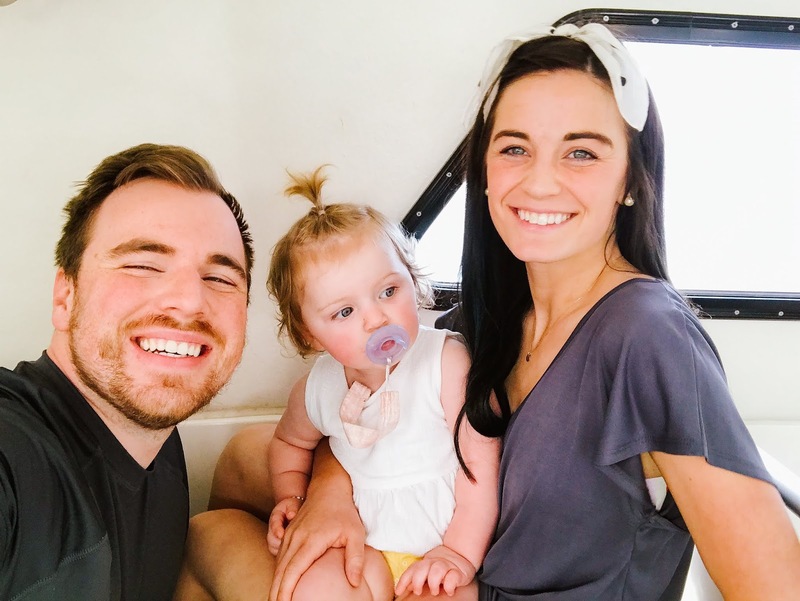 We were able to quickly strike a deal with a random guy on the side of the road for a couple of spots on a water taxi and before we knew it we were climbing into a little boat with a couple of strangers, our stroller, and our baby. 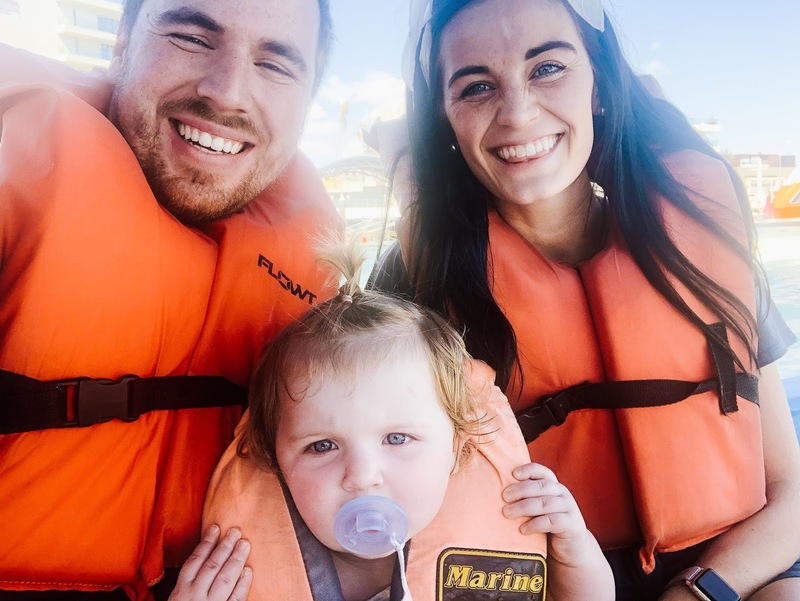 We slipped an over-sized lifejacket on Billie and then put a couple of lifejackets on ourselves as we began to coast out into the open blue water, waving at our cruise ship as we headed out in the opposite direction. This spontaneous excursion ended up being one of the highlights of the trip for me. Billie sat wide-eyed upon our laps as the ocean breeze combed through our hair and our lungs were filled with the breath of the sea. 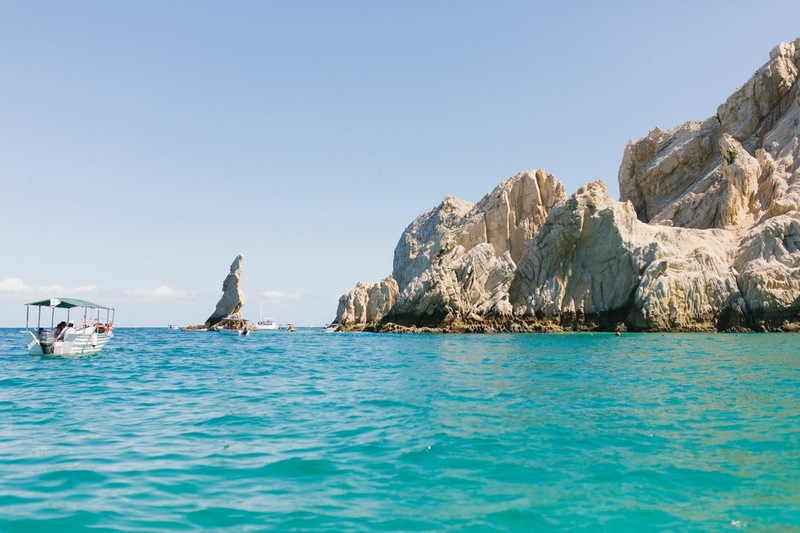 The boat danced haphazardly atop wave after choppy wave as our tour-guide urged the little boat forward towards the monstrous rocks jutting up out of the ocean ahead of us. 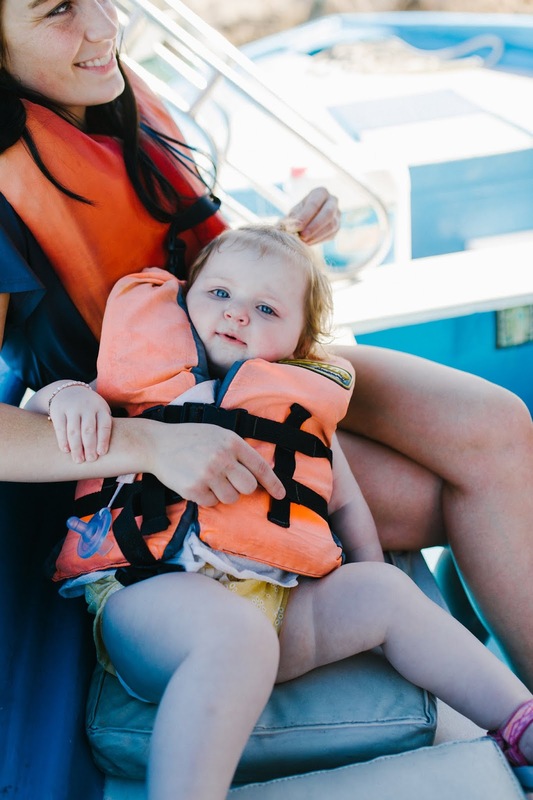 We passed countless other water taxis and turned a couple of heads when the onlookers spotted little Billie who was likely the youngest human among the boats that day. Our tour guide slowed the boat and tossed a couple of torn pieces of bread out into the water. 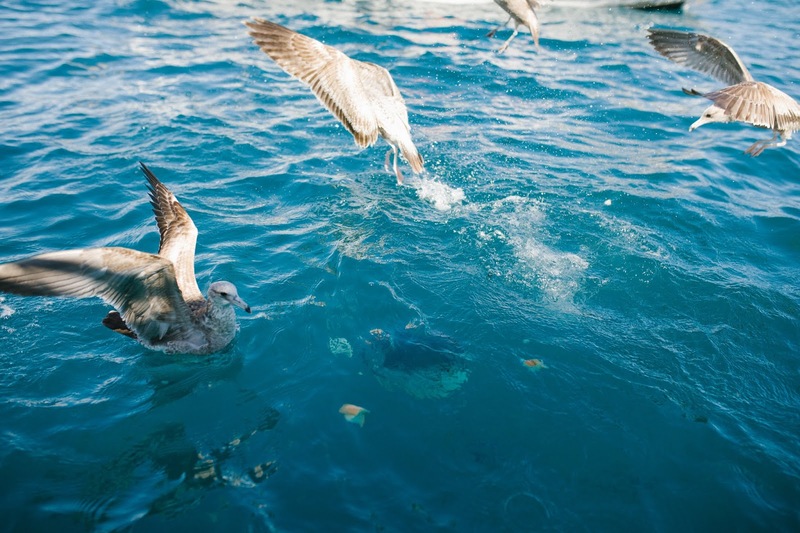 Instantly the water began to bubble as fish rose to the surface to claim the scraps-- at the same time swarms of birds dropped from the sky above with feet outstretched in an attempt to beat the sea creatures to the bread that drifted lazily on the water's surface. Billie happily watched the madness with a smile spread across her face. She was squawking and squealing along with the seagulls and her little noises could have easily been mistaken as the real thing. 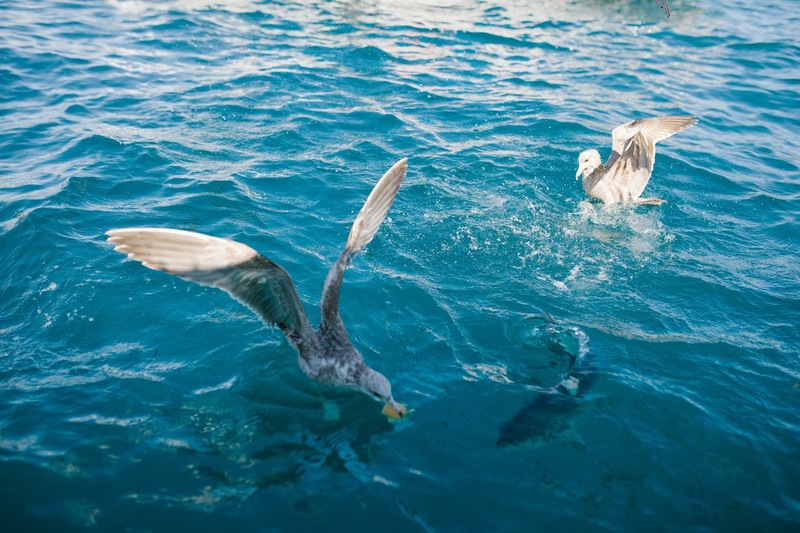 Her little arms were excitedly flapping as rapidly as the birds' wings that surrounded us. 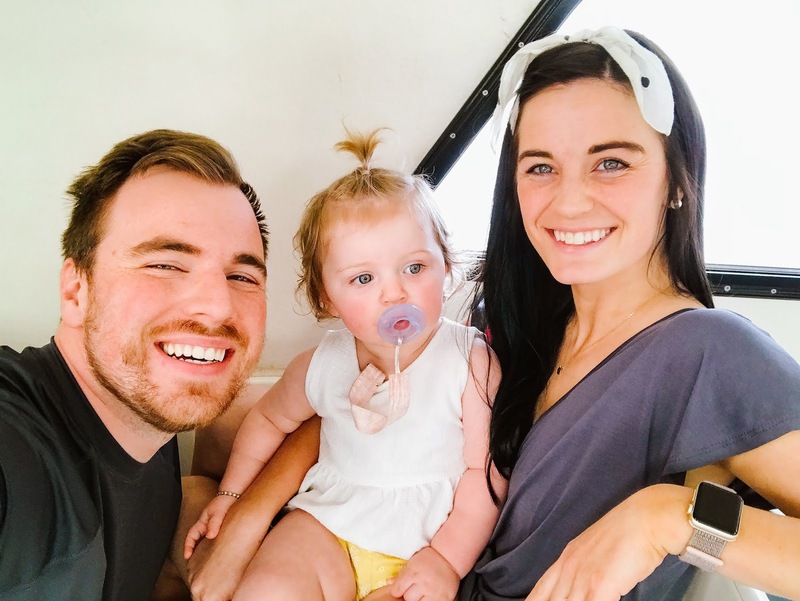 She made us (and everyone else around us) laugh a whole lot during that little adventure. After we got off the water taxi we walked around taking in the sights for a bit before deciding to return to the boat for the day. 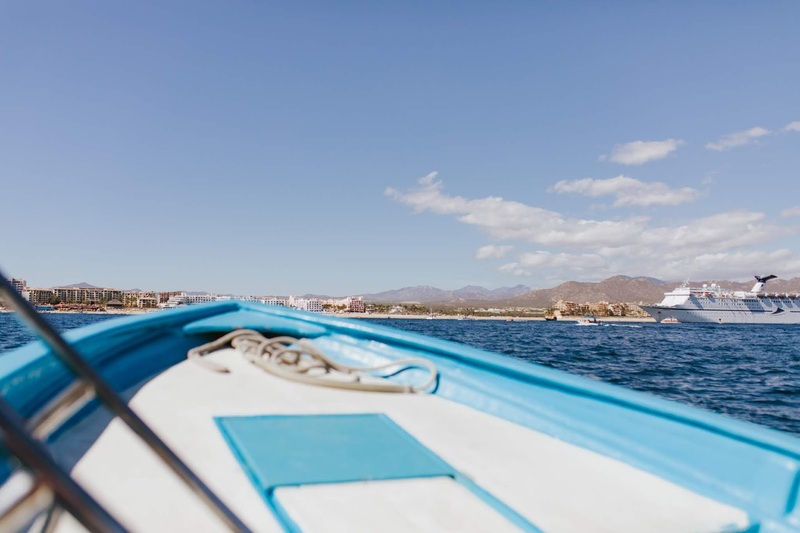 Billie's adrenaline rush from the all of the animals and sights she saw on the taxi ride wore off almost as instantly as we arrived back on land again. 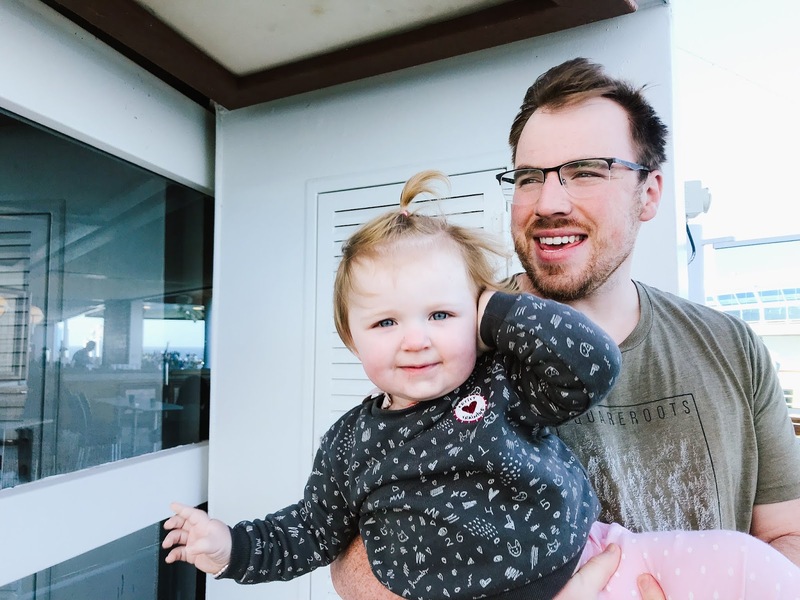 Her little hands rubbed at her tired eyes and that's ultimately what helped us decide it was time to get her back to the cruise ship. 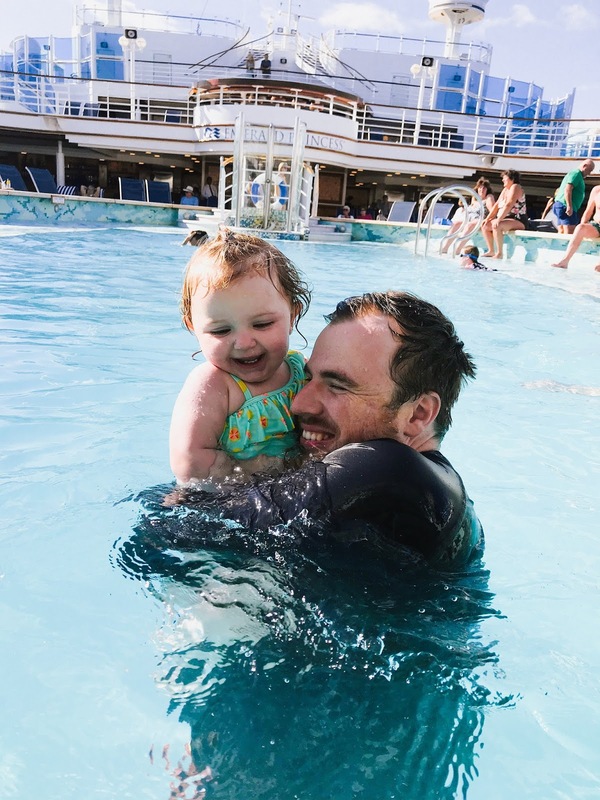 We found that the best time to get in the pool with a baby was when we were still docked at a port so the boat wasn't moving and the pool wasn't as crowded (because everyone was off on various excursions and such). 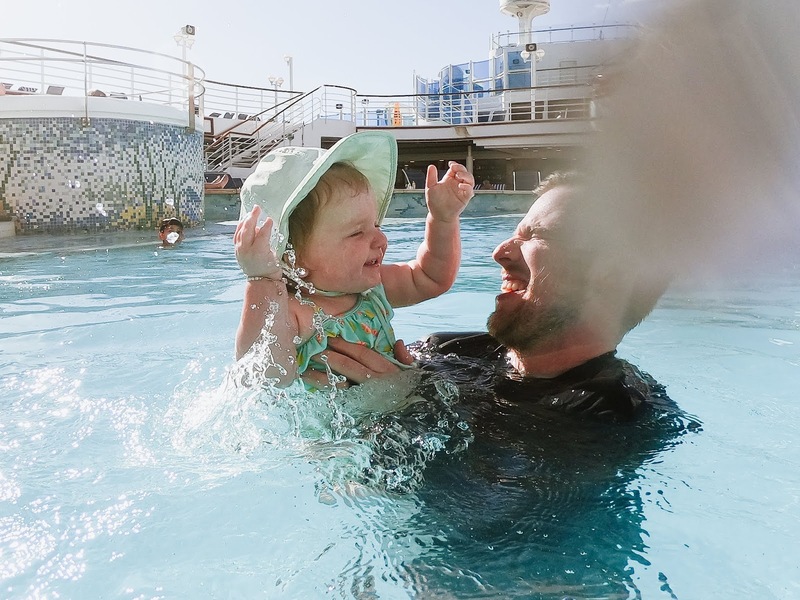 Billie was so full of excitement as we swam that her screams of delight made her the center of attention on the deck that day. We had several elderly women approach us to ask, "Is she always this happy?" 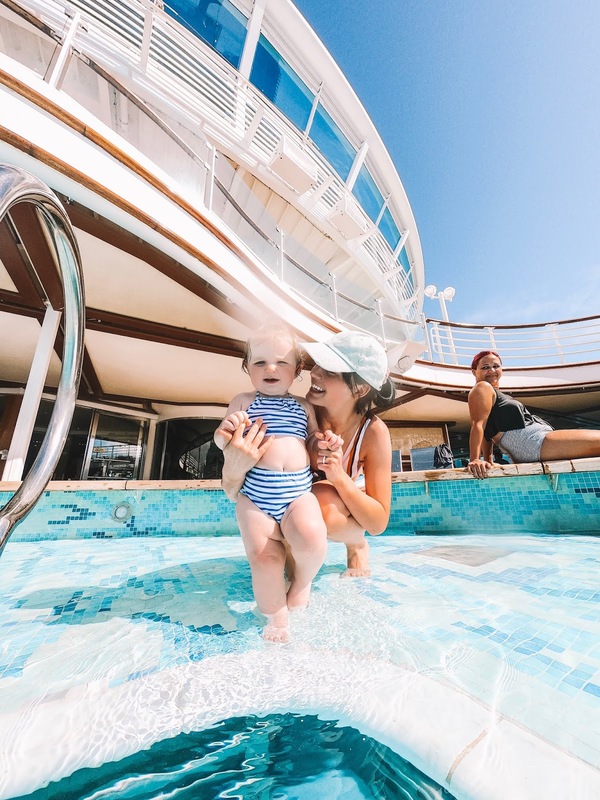 I couldn't even handle how darling she looked in her little baby bikini. That night, thanks to all the exposure to sun and swimming, Billie was so tired that she fell asleep at dinner. 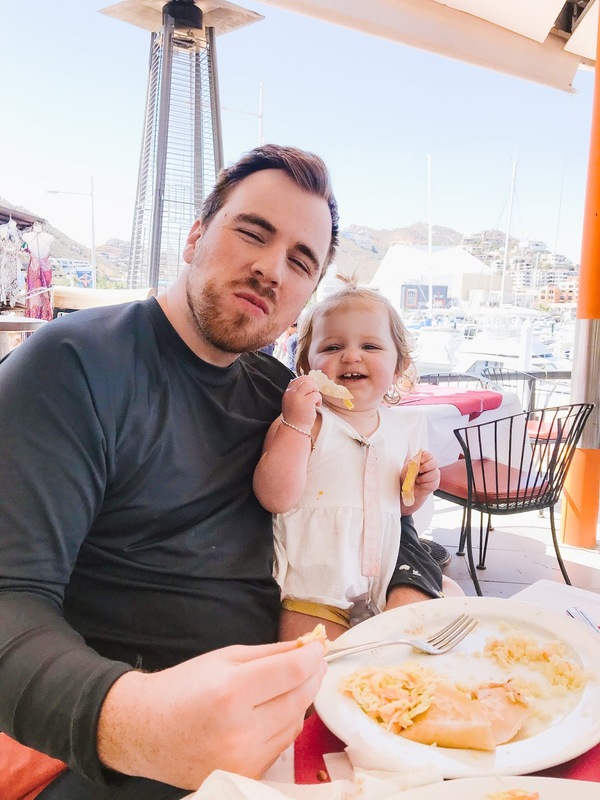 One second she was stuffing fistfuls of her fettuccine alfredo into her mouth (which was her favorite meal and we indulged her by letting her get it basically every single night) and the next second she was still stuffing her food into her mouth... but she was sleeping!? 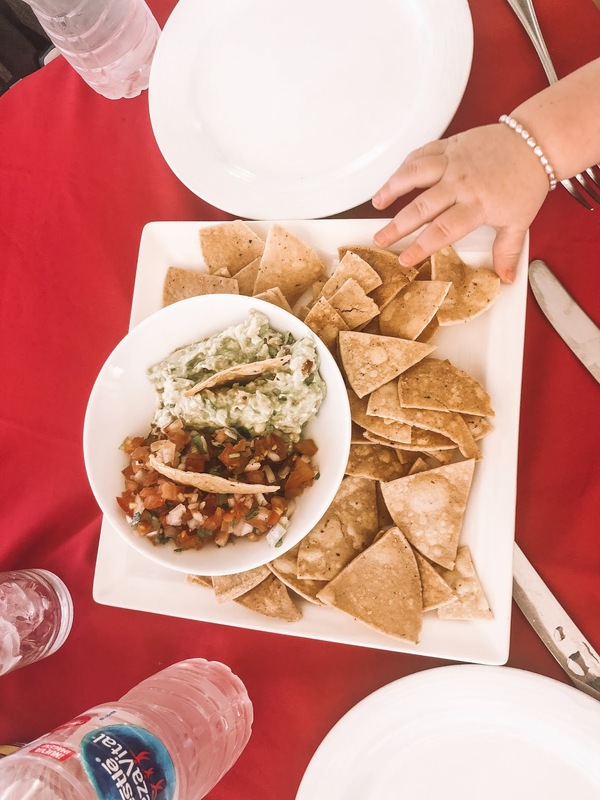 Her eyes were closed and she was gently swaying back and forth but her little hand kept diligently bringing food from her plate to her mouth. 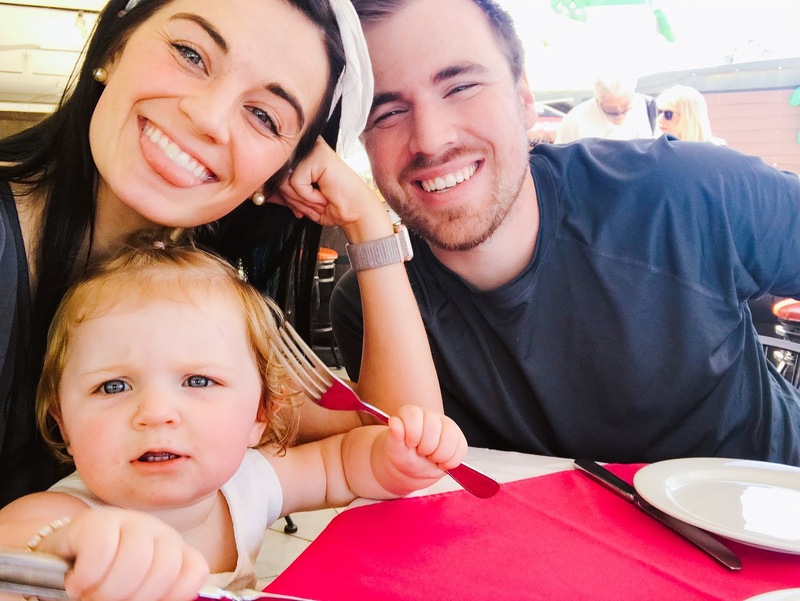 Everyone at our table was in tears... heck, everyone in close proximity of our table was in a fit of laughter all thanks to our exhausted, sleep-eating baby girl. Needless to say, she slept in my lap through dessert. 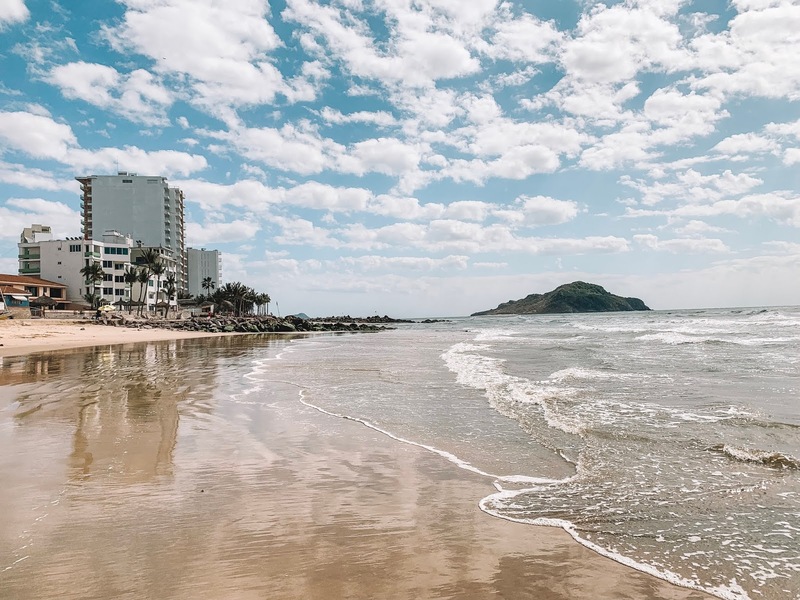 We spent our next day in Mazatlan! We signed up for an excursion that would take us shopping and then to the beach. 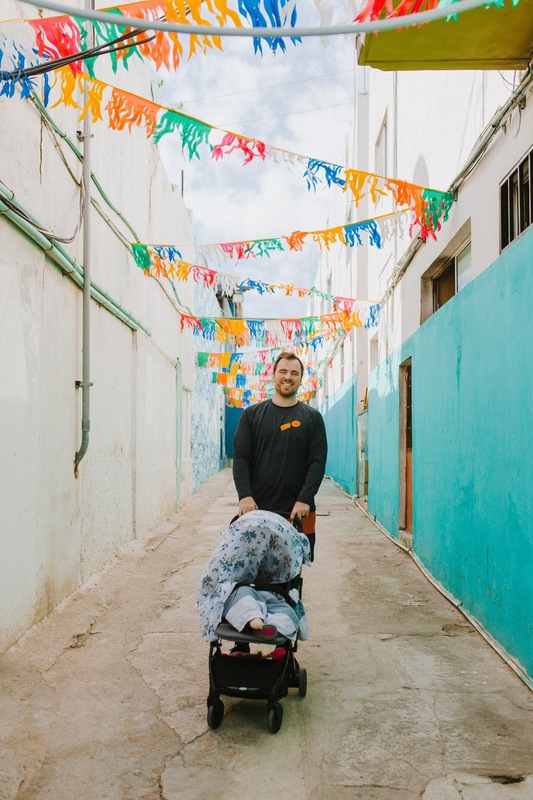 We started off the endeavor by roaming amongst the aisles upon aisles of unclaimed treasures at the flea market and ended up finding a couple of treasures to take home. Afterwards, we headed to a lovely resort where we ate lunch and spent the rest of our day at the beach. The beach was nowhere as cold as Utah... but it also wasn't exactly warm, either. The locals kept exclaiming, "This is the coldest day we've had all winter!" and trust me, they weren't exaggerating. I mean, again, it had nothing on the cold we'd left behind in Utah, but we showed up wearing shorts and short sleeves and were a little bitter about it by the end of the day. We ate our lunch indoors (which wasn't our original plan, but when it was that chilly we weren't exactly excited about the prospect of eating outside in the wind). The winds whipping in from the ocean were harsh and chilled us until all of the little hairs on our body were sticking straight up. 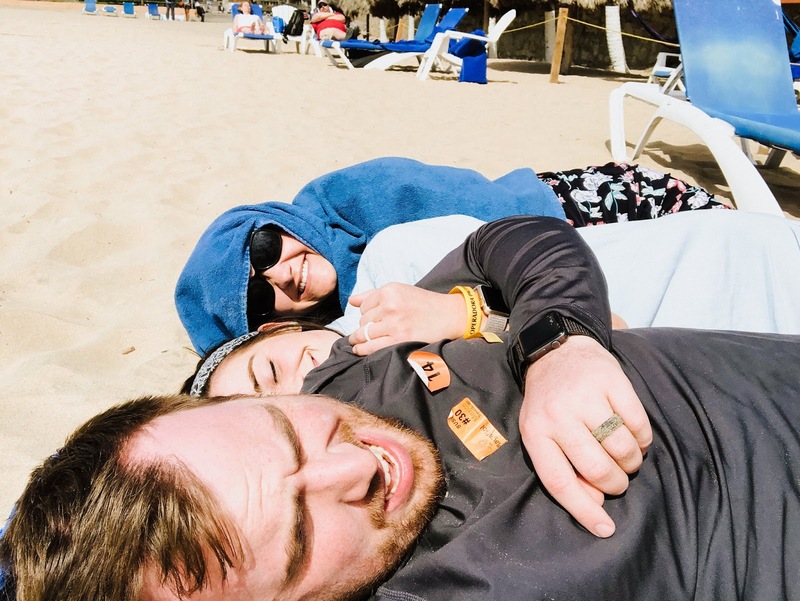 We found a little bit of warmth by huddling as close as we could to the ground and stealing the sun's warmth that was left behind in the sand. 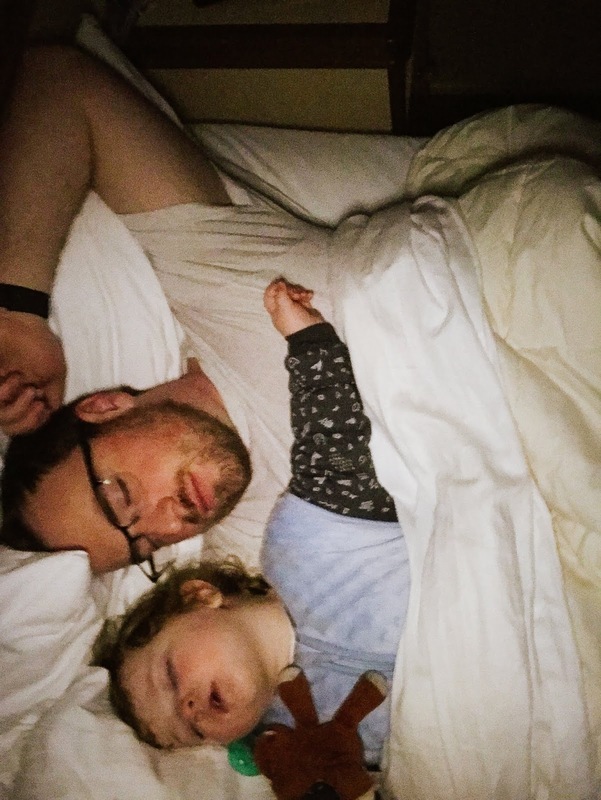 We laughed at what random onlookers must have thought when they beheld our sandy spoon-fest. 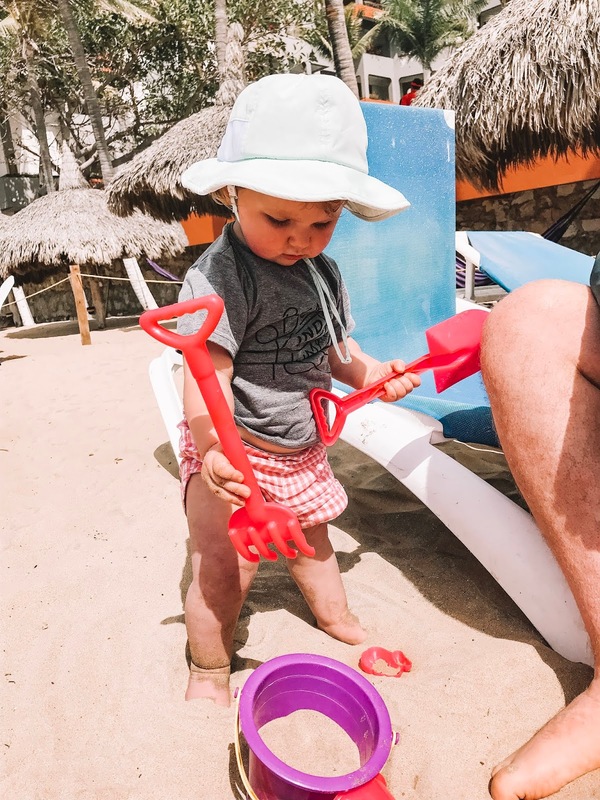 We purchased a cheap little sand bucket with toys earlier that day at the flea market and it ended up being a very useful tool in keeping Billie busy at the beach (it kept her busy once we were back on the boat as well). 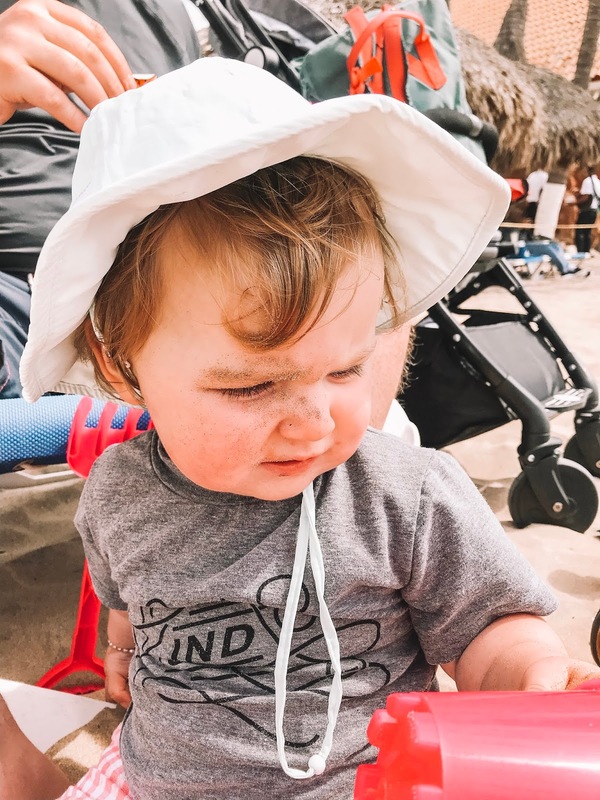 Billie seemed to be the only one who wasn't bothered by the wind (other than the fact that it kept spitting sand up into her face). 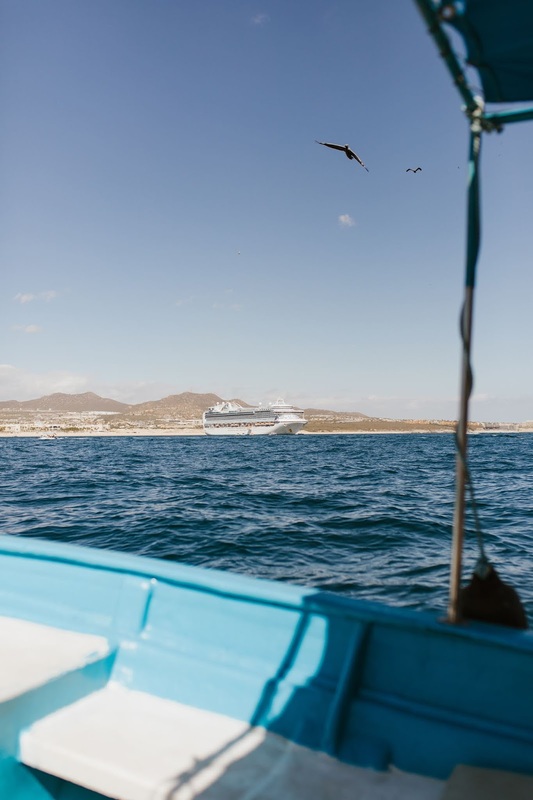 We were supposed to ride a bus back to our ship but we'd had about enough of the cold wind mixed with sand and opted to catch a taxi back instead. Little did we know we'd end up in the back of an open-air taxi (which was basically just an old truck with a couple of benches and an awning screwed into the bed). 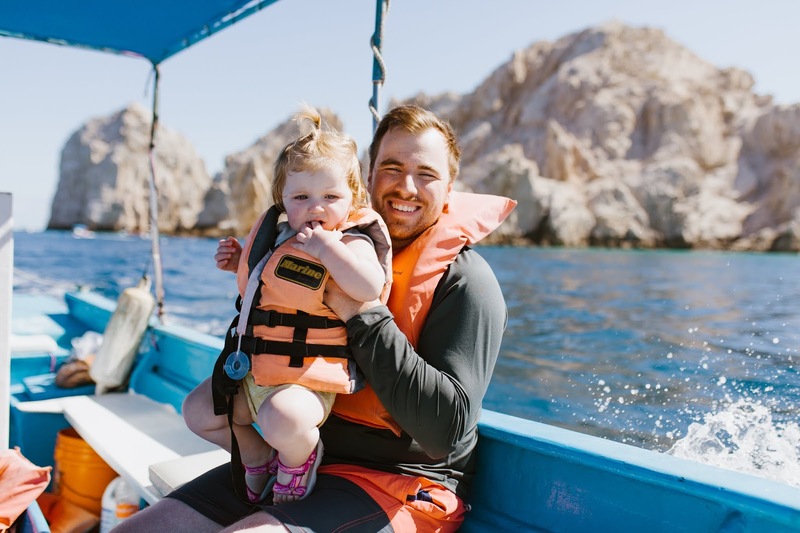 Taylor confidently proclaimed that moment as his favorite part of the entire day once we finally made it back to the boat (we tend to like the spontaneous parts of our trips the best). 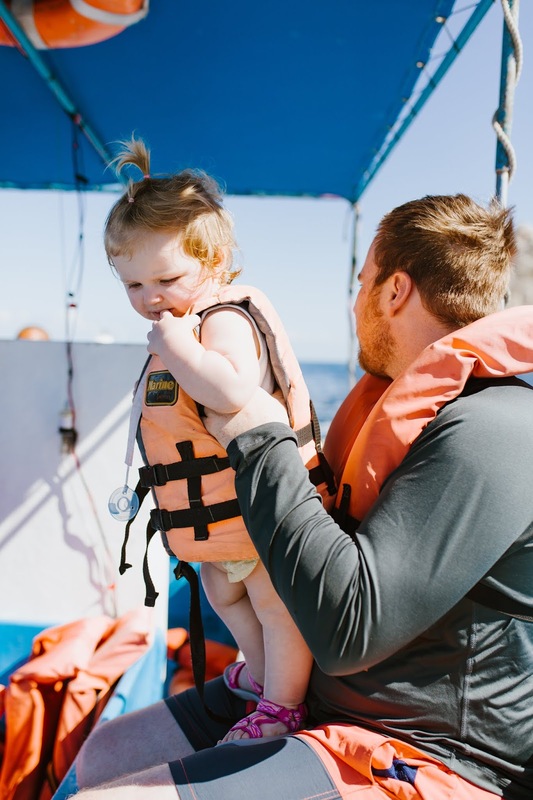 Our original plan was to go out on a zipline excursion at our third stop in Puerto Vallarta but when we woke up that morning we decided to stay on the boat all day instead. Billie splashed around some more in the pool, I got to read my book and lay out in the sun, and Taylor got to take a nap! It was a win, win, win situation for us. 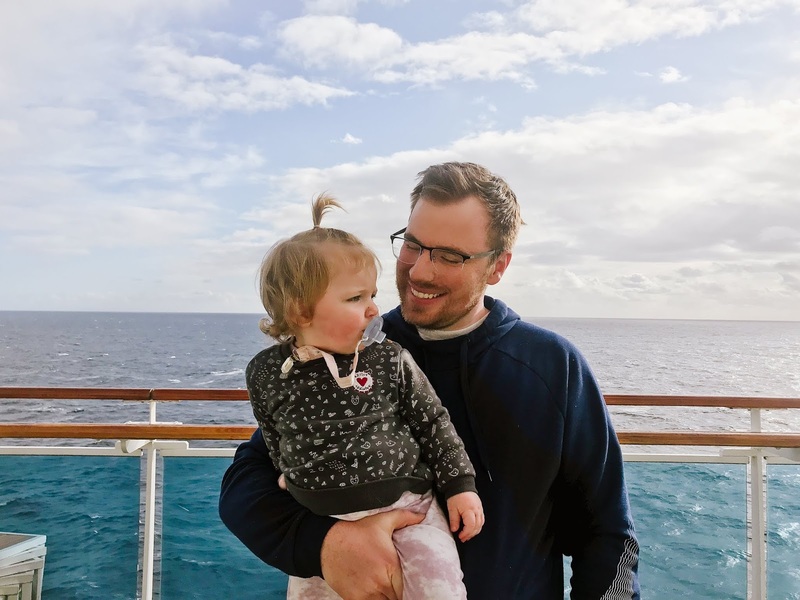 The last few days of our cruise are kind of a blur of eating, sleeping, and relaxing. But we wouldn't have had it any other way. 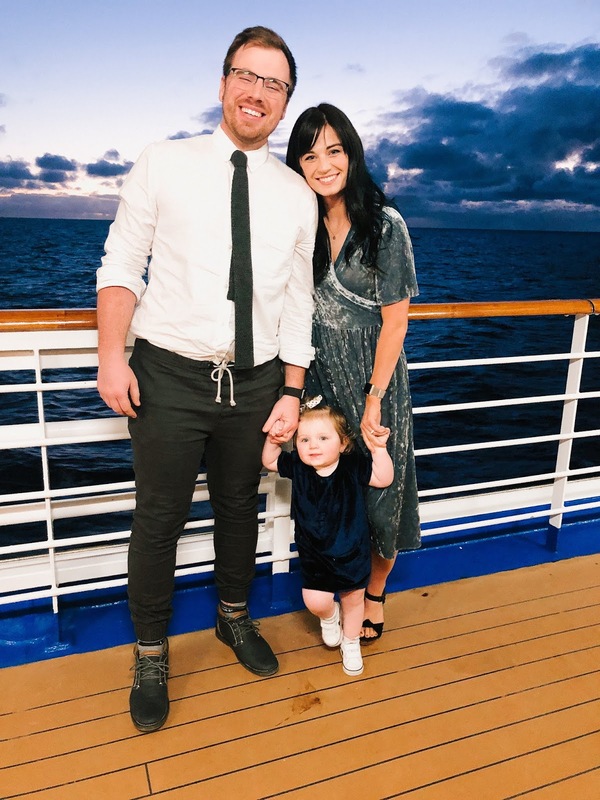 All in all, we really enjoyed our experience on this cruise! 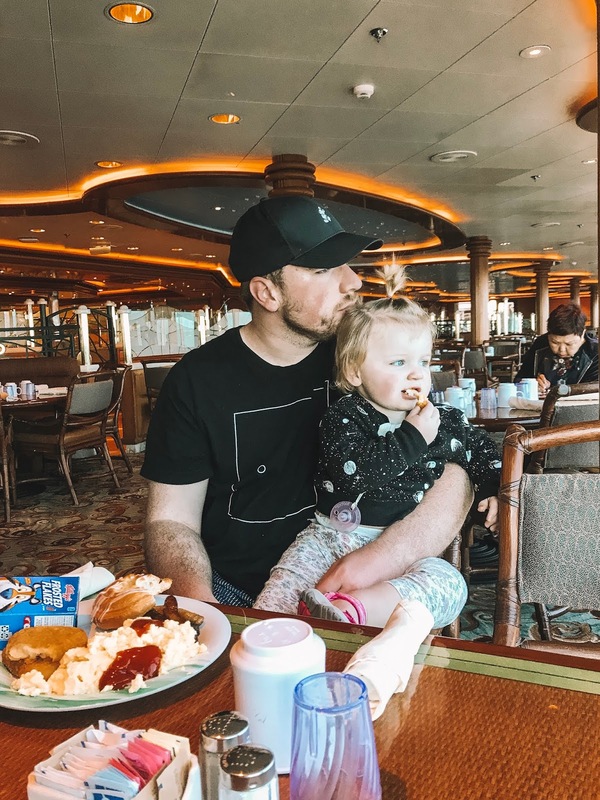 I've had a couple of people ask about some of the specifics of taking a baby on a cruise and so I figured I'd finish off this post by listing some of those details as well as what things we packed for Billie and the specific things we liked about the cruise line we went with in terms of taking a baby along. 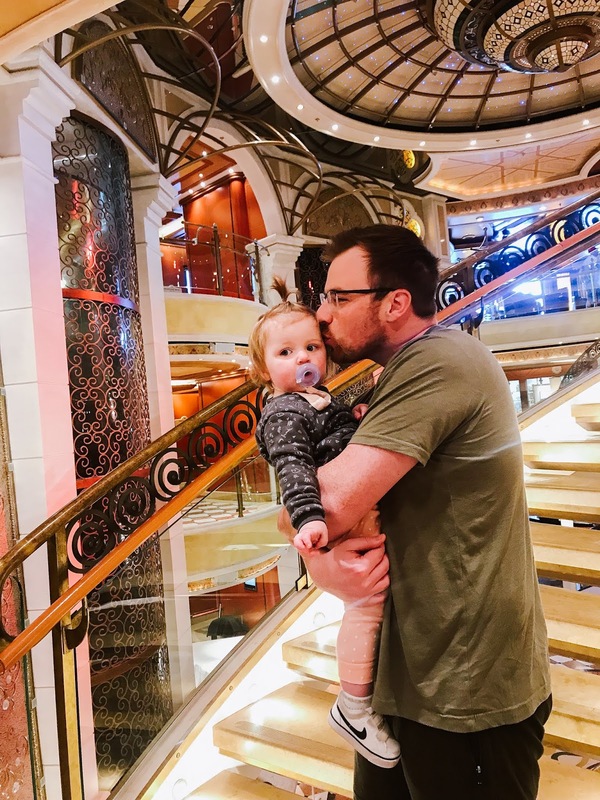 We paid essentially the same price for Billie's ticket as we did for our own-- hers did end up being a little cheaper but it's important to know that you do have to pay for your baby to be on the cruise as well. 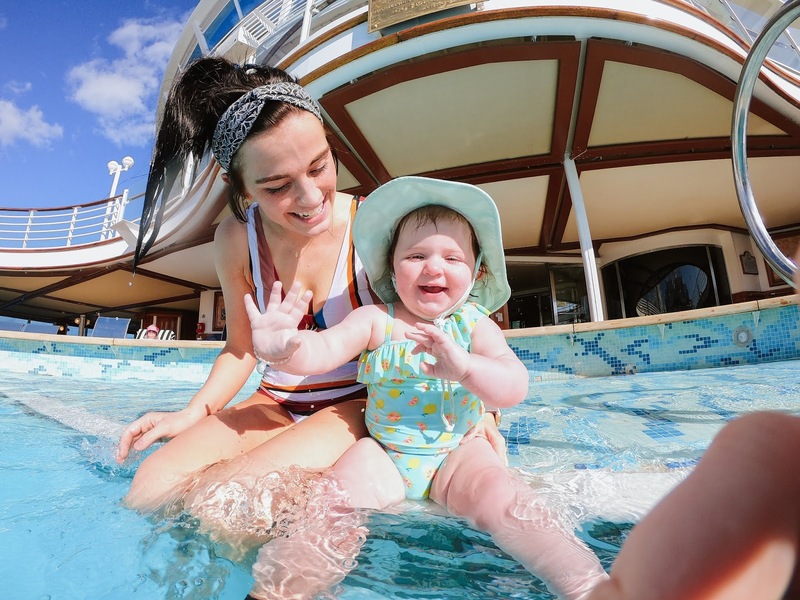 Some cruise lines are certainly more baby friendly. 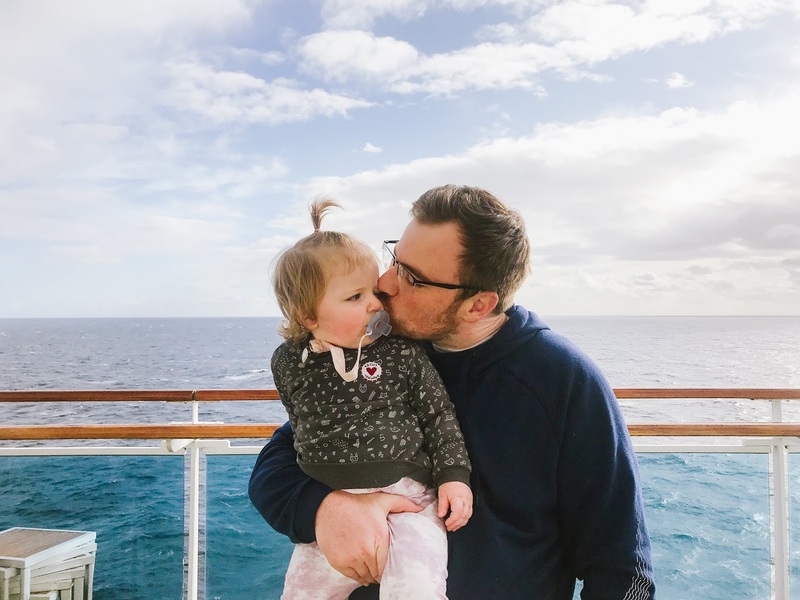 We cruised with Princess and we really enjoyed the experience but there weren't many baby/child friendly activities taking place onboard throughout our cruise. 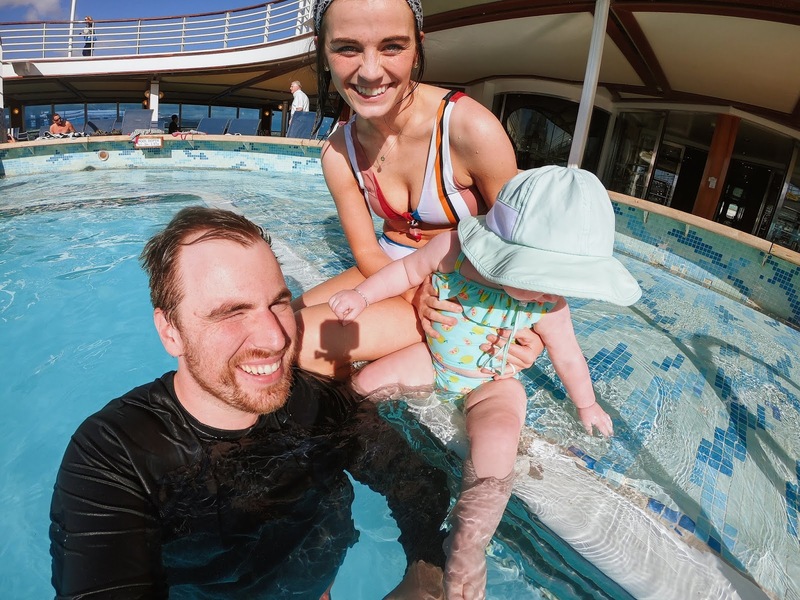 Billie was fine with just walking around the ship, eating, and swimming. 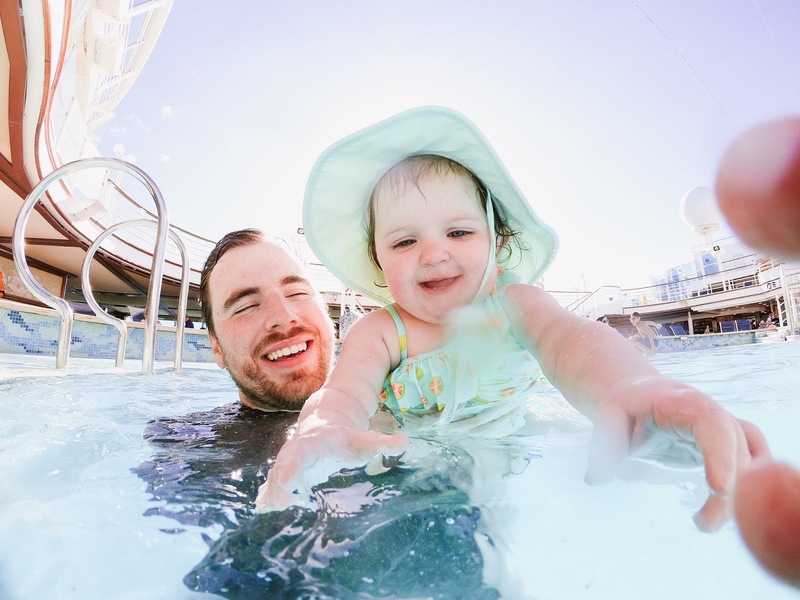 Look into what kind of activities are available for kids with different cruise lines and ships. 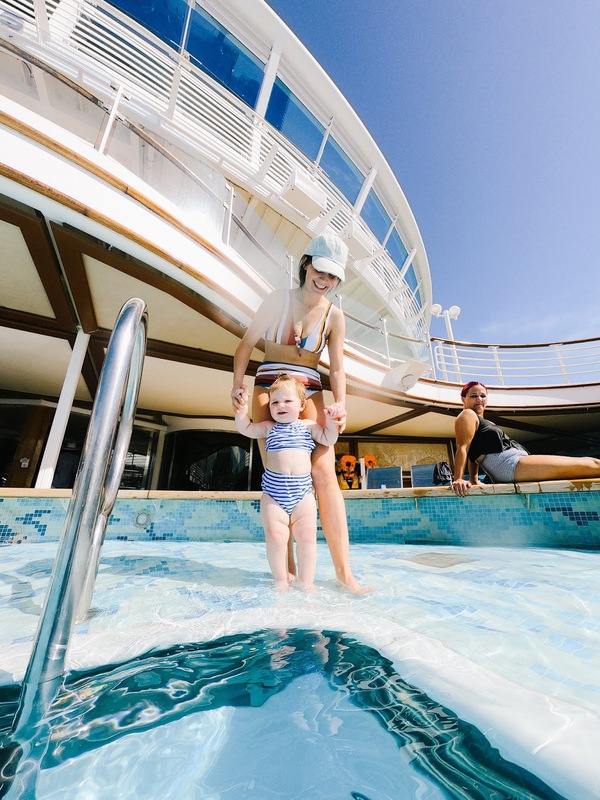 A lot of cruise lines do not let children who wear swim diapers in the pool. 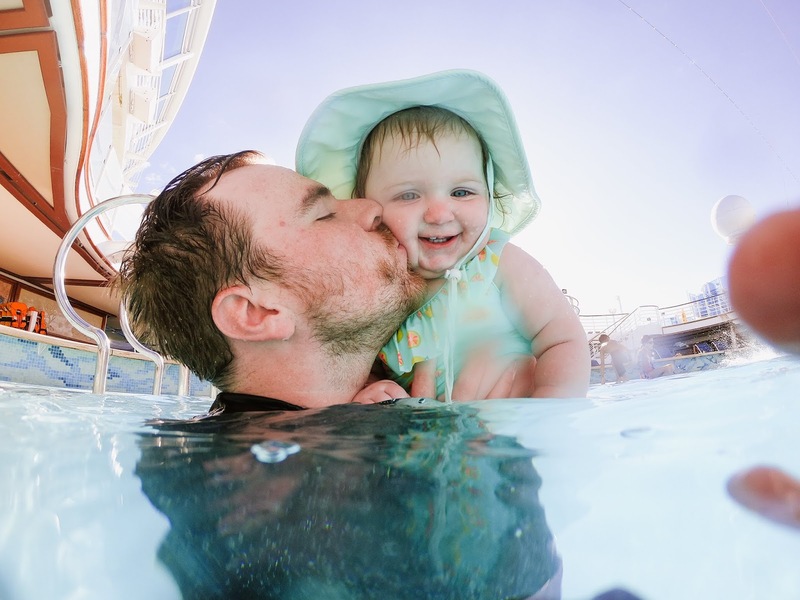 Princess, from what I've heard, is one of the few cruise lines that actually do. That was a big game-changer for us! 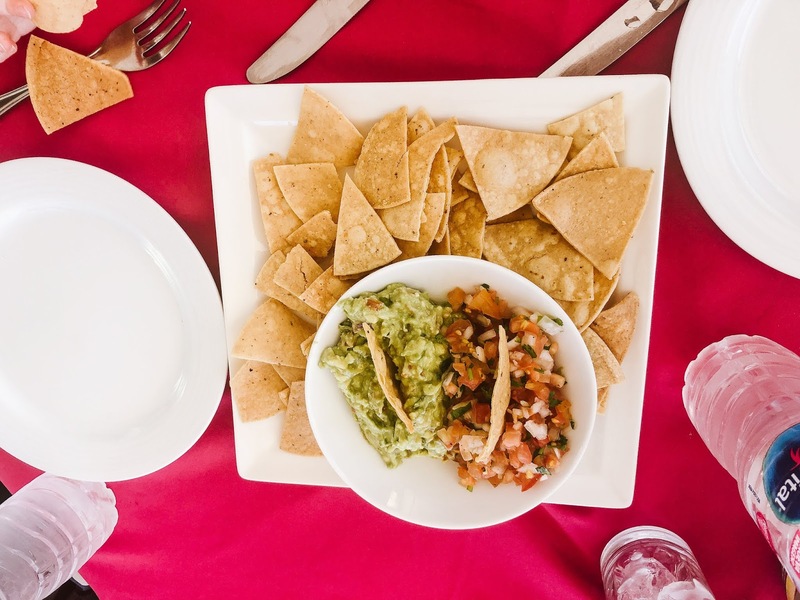 All of your meals are included with the cost of your cruise-- your room is also included (obviously). So there aren't many on-board expenses beyond that. 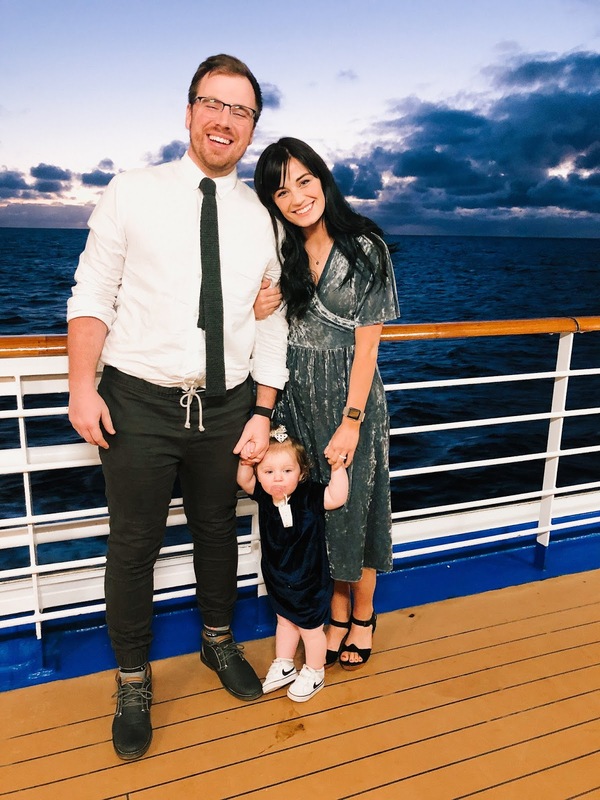 We paid extra for the unlimited soda/mocktail package onboard the ship and it was totally worth it! I also think it CAN BE less expensive to pay for things like that before you board the ship. We took LOTS of toys from the dollar store (this was we could throw them away when we finished our cruise-- plus it was sooo cheap and she was excited to play with new toys) Those toys included: stickers, coloring books, pipe-cleaners, crayons, a car, and other various plastic toys to keep her entertained. 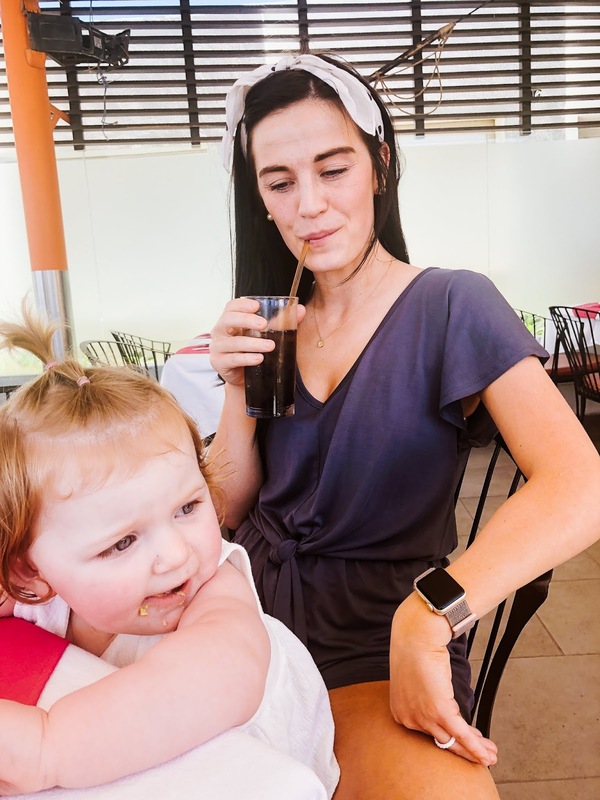 An ipad with headphones for dinner (we're not usually the kind of parents who hand phones/ipads to our kid, but, that being said, it made such a big difference for dinners-- it helped keep her entertained/quiet so we could enjoy our dinners in the formal dining room each night). We didn't take them this time... but walkie-talkies! 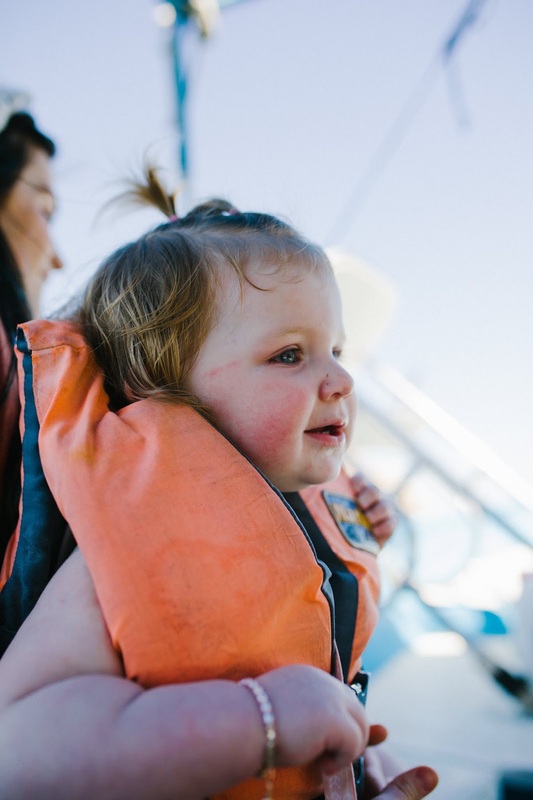 It makes it easy to communicate on the boat when you're not together. We were wishing we had brought them this time around! I'm sure there are lots of things we are forgetting but that's basically the general idea of things! 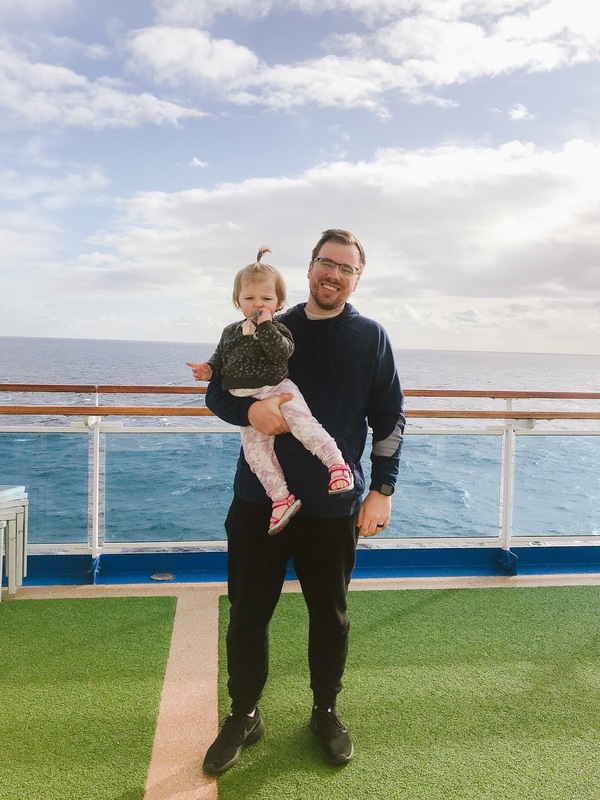 I said it at the beginning of this post but I'll say it again, I personally think that going on a cruise is one of the easiest ways to travel with a kid. 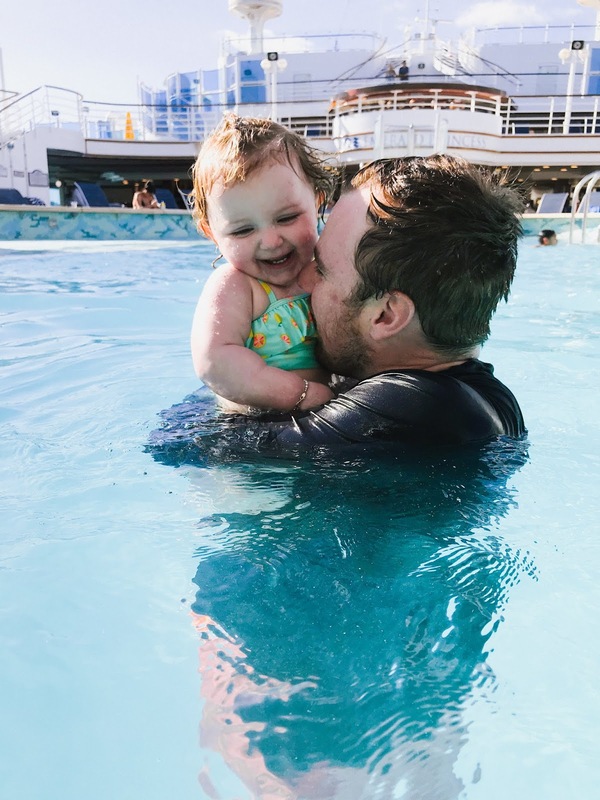 So if you're wanting to jump into traveling with your child but you're exceptionally nervous, I'd suggest jumping in and starting with a cruise! 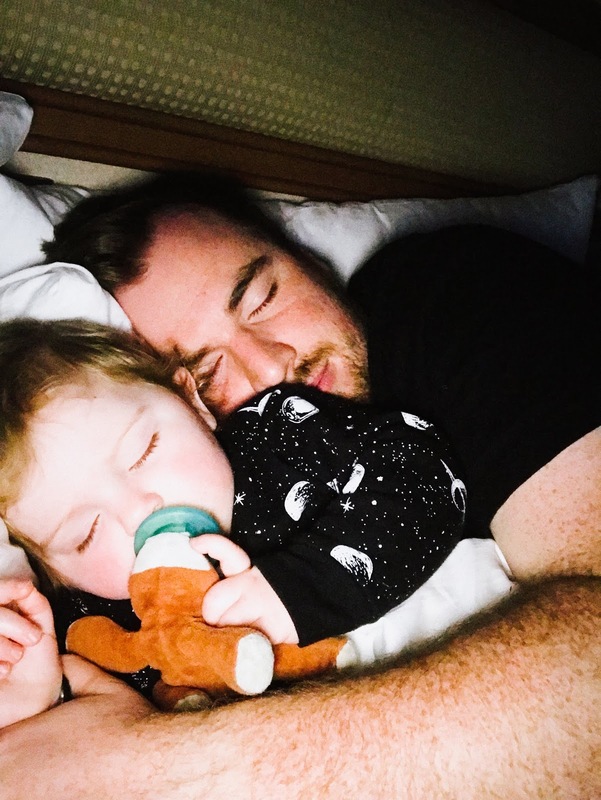 It's easy, laid back, and it gives you a break from doing the same ol' thing you always do at home (which is always a good thing). 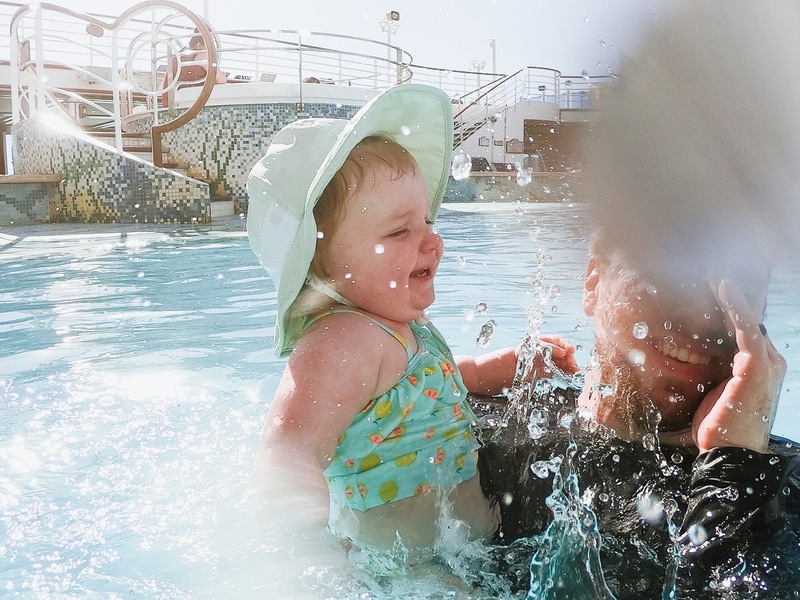 You were brave to do an excursion not sanctioned by the cruise line.